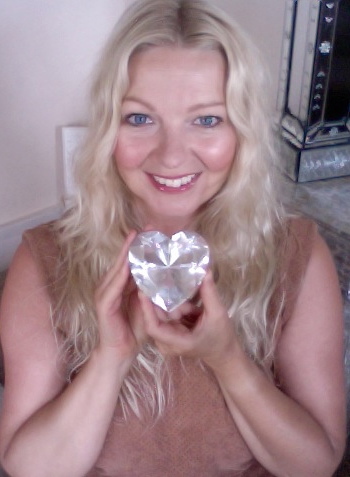 Due to demand Andrea is thrilled to be able to offer her Intuitive support to existing and new clients who feel that they need extra support through Awakening from the Matrix, life changes, self development & evolving soul consciousness. "Healing the Past to Live in the Now"
These sessions are channelled through Andrea connecting with Source and your personal.." Emotional Akashic Records". Andrea will guide you into the source of your issues and blockages to allow you to transcend & release your limiting beliefs and emotional blockages from Past lives, Ancestral Lives, Womb - Present Day (Soul Fragmentation) in this life time, commonly called the Wounded Inner Child Healing, Entities & Galactic Timelines. During the session she will also channel specific clearings and attunements for your soul through her voice of "Soul Light Language" these are very powerful clearings, transmissions and activations. At the end of the session she will channel music or Light Language to your soul allowing you to attune further to your "Soul Light & Wisdom". Depending on where you are on your spiritual awakening journey, will depend on how you experience these powerful and transformational sessions. Andrea is a clear channel to access the source of the conflict Past lives ( Co-Existing Timelines ) , This Life, (Womb- Present day) Ancestral programming for your soul development, on the path to self empowerment and mastery. Sessions are £88 for 30 MINUTES OR £122 for 1 HOUR. Please book in advance. Bookings are payable via PayPal (below) or direct bank transfer. Please contact Andrea to pay via direct bank transfer if you do not have paypal. Sessions are available from UK time 9am - 8pm when Andrea is in the UK 7 days a week. She offers in general a couple of sessions a day. Once payment is made please email the timezone you are in and country and what dates and times suit you from that day over the next 7 days.